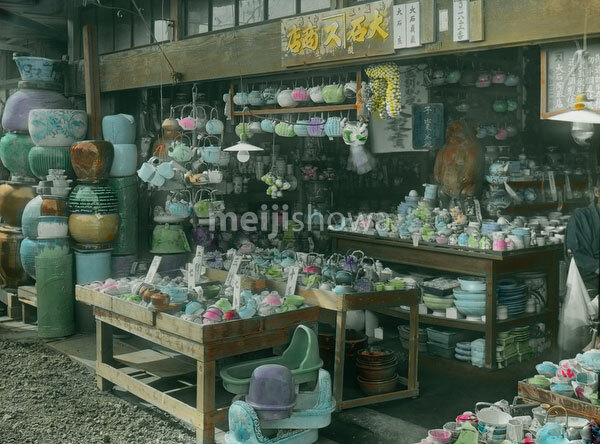 Japanese shop selling ceramics and pottery. Notice the Japanese toilets in the foreground. Early 20th century.